North American Grand Cherokee Association > NAGCA Information and Announcements > NAGCA Ride Of The Month Promotion! You may be our next Ride Of The Month Winner! Well think this is the right place to enter for OCT rotm. 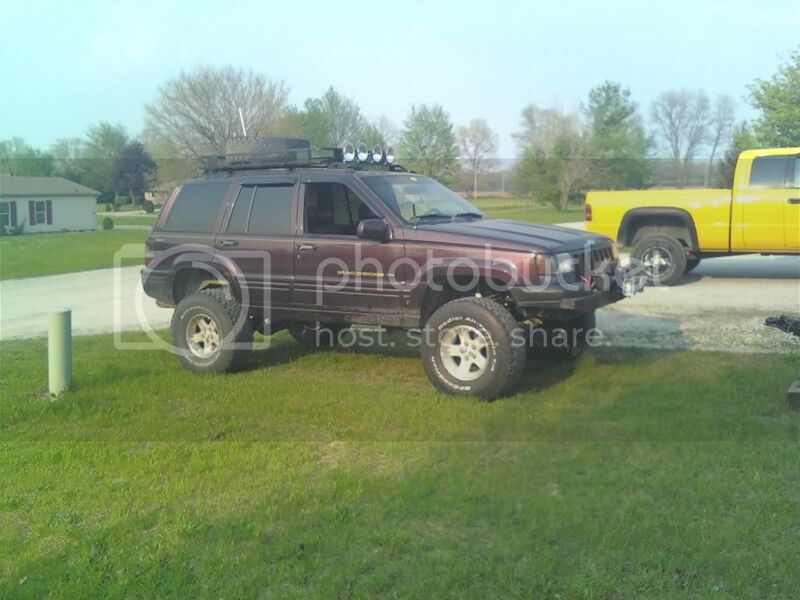 I have got a 96 ZJ limited with the 5.2L in it. Has got a homemade adjustabe long arm lift on it with adjustable short arms in the rear, adjustable track bars, skid plates under neith, rock sliders, dana 30 with u-joint shafts, dana 44a, 3.73's, custom winch bumper, roof rack, 8,000lb winch, 33x12.50 BFG at's on 15x8 jeep ravine rims, flowmaster 40 searies, Hella 500 lights. Its a work in progress. 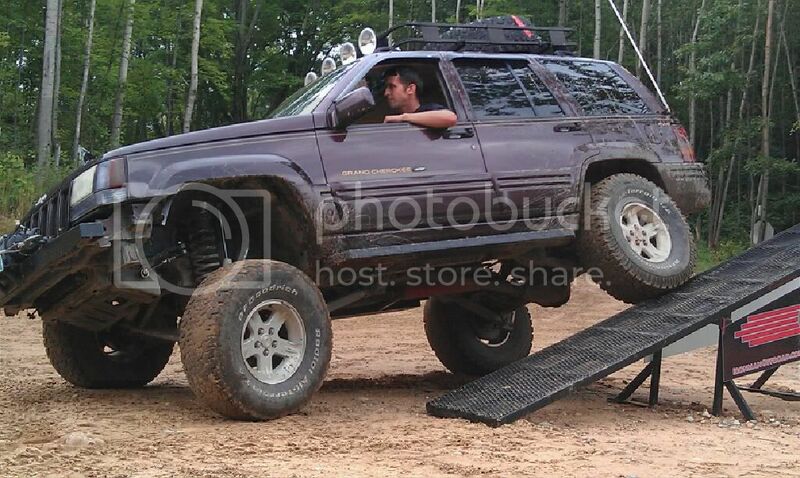 99 WJ 4.0 4" Teraflex springs, Iron Rock track bar, modified end links, homemade long arms and rear a-arm with cross members. Rancho RS 9000XL with steering stabilizer. Steel bumpers almost done. '04 driveline swap. Now pending hybrid 44's and stroker build. My vote is for WILD BERRY!!!!!! rock sliders, dana 30 with u-joint shafts, dana 44a, 3.73's, custom winch bumper, roof rack, 8,000lb winch, 33x12.50 BFG at's on 15x8 jeep ravine rims, flowmaster 40 searies, Hella 500 lights. Its a work in progress. Good for searching. But this thread is 3 years old. I had a good laugh today. If I were that cheap I wouldn't be driving a Jeep!